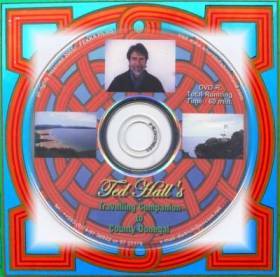 ... was thrilled to watch the DVDs ... have to say that they are of outstanding quality ...Ted Hall's Travelling Companion with its humour and the fantastic landscapes just outshines all other Ireland-films. An invaluable guide to County Donegal. The DVD encompasses the History, culture and stunning landscapes of one of the most diverse counties of Ireland. The Travelling Companion includes comprehensive maps and directions.